Is your ecommerce business on the right track? Does your current strategy have the legs to go the distance? If you want your business to last you’ve come to the right place! On this episode of The Amazing Seller, you’ll hear from Scott as he goes over five filters you can use to validate your target market. Don’t leave the future of your ecommerce business all up to guesswork. 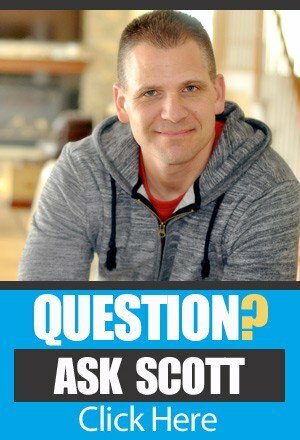 Take advantage from this opportunity to learn from Scott’s tried and tested approach by listening to this helpful episode! Are you targeting a market or a one off-product? If you’ve been around the TAS community for very long, you know that Scott wants to help sellers like you build your brand by serving a niche market. Have you located your target market yet? If you haven’t, it is not too late to find one! Don’t assume that you can build a profitable ecommerce business through one-off products; those days are numbered. Find out how you can build a sustainable business model by targeting a niche market on this informative episode of The Amazing Seller! Make sure your market has room for you to grow! Even when you find a niche market, that might not be enough to build a long term ecommerce business. Before you commit to a target market make sure that there is room for your brand to grow. Scott suggests that sellers like you thoroughly research the market you are looking at to see if it can support at least three to five additional products for you to introduce as your brand gets going. If you opt for skipping this important filter, be warned! You could be seriously limiting your brand’s long term chance for success. To hear more about this critical topic, make sure to listen to this episode of The Amazing Seller! Why community in your market is so important. One of the best ways to find out if your target market has the depth to support your brand it to find out if there are social media groups already in place around the market. If you want to build a brand in the bass fishing market go and check Facebook, Instagram, or YouTube to see if there are people talking about this pastime. If you can’t find any groups talking about the market, you want to target it is a good idea to consider a different direction. The whole idea behind this is to let these already established groups act as a validation that your target market has momentum and an audience. Make sure to listen to this episode of The Amazing Seller as Scott expands on this important subject! Time and time again Scott comes back to this important topic of content when he teaches on long term brand success. You’ve got to have an audience that is out there searching YouTube or Google for content about your target market. If you can find a niche market where people are gathering on Facebook or searching on YouTube you’ve got a huge chance for success. You don’t even have to be an expert on the subject matter to create relevant content; you can use it as a learning process inviting your audience along for the ride. Listen to this episode as Scott explains how sellers like you can develop content that engages your target audience. [3:15] How you can participate in the next ecommerce business formula class. [4:40] Are you targeting a market? [6:45] Are there at least three to five products selling in this market? [11:00] Are people searching content online about your market? [15:40] Are there social media groups hanging out? [17:15] Can you build an email list? [21:40] Closing thoughts from Scott. …filters to validate your market for future growth and this is something I really believe is really important moving into 2019 and beyond and I talked about this here and there, but I really wanted to break it down here so this way you can go through this process. Now, if you are just starting, this is definitely for you. If you’re up and running right now and you have some products that are selling well, well, this is definitely for you because you want to make sure that you’re able to establish the market that you’re in and there’s a lot of really cool things that you can do when you know who your market is, who you’re speaking to, because it’s going to make it easier for you to sell more products to them down the line and communicate with them and really build the attention in the market. [00:02:02] Scott: I could go out there and I could build my assets. I can do all of these things that I can be driving attention now from my channel that I build over to Amazon and then I can probably outrank them and outsell them. And then they’re going to be scratching their head going like, “How the heck are they getting all these sales? I’m looking like everyone else’s. I’m looking on Jungle Scout or I’m looking at these other tools and it’s telling me they’re getting 400 sales per month but I’m only getting 300. Why?” Well, that’s because you’re only using the resources that you have that everyone else is using on Amazon on that one channel. So, that is why this is so important to do this. It’s also going to open up opportunities for you to grow your business and your brand, not just on that one channel. It’s going to allow you to diversify and all of that stuff. So, stick around if you want me to take you through these five filters to validate your market for future growth. So, the episode here is 624 so if you want to download and grab the show notes, head over to TheAmazingSeller.com/624. 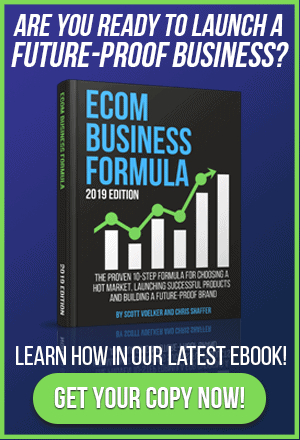 And just a little side note here, we are currently right now, as I’m recording this, going through our beta class E-Comm Business Formula with a beta group right now and it’s awesome. We’re getting a lot of great feedback but here’s the deal. If you are interested in joining the next group when we open, we are going to be announcing it first to a waitlist. Now, that wait list has already been established because once we close down the year, we close down the beta class, and we say we’re going to go ahead and train everyone that’s in there right now. We’re going to create all of this brand-new content which by the way it’s been a lot of work but it’s been a lot of fun too going through and establishing a new market that we’re exposing and products and how to build out this brand and it’s really just something we’ve never done before to this level. But if you’re interested in being notified when we do open, okay, once again for class registration, head over to TheAmazingSeller.com/EBF for E-Comm Business Formula. [00:04:14] Scott: All right. So, let’s jump in. I want to get right to it because this here is something that you all can go through right now and you should whether you’re starting or whether you’re already currently selling on Amazon and it may mean that you need to look a little bit different here in a few different areas to make sure that you can do this stuff. Okay. So, number one, okay this is one big thing to understand and to really validate your business. Is it a market? Is it a market? I know it seems really basic, but here’s what I mean. Are you selling a product that is like Velcro? Velcro is a very universal product and is used for a whole bunch of different things. Who is Velcro serving? I don’t really know. I think it serves a lot of different markets so it’s not market-specific. Now, if you had some Velcro that was made specifically for holding maybe guitar cables or something, well, that would be specifically designed for that market and then you could submarket into or take your big market and sub it into these other markets if you wanted to. That’s just one example. Bungee cords, same thing, right? A bungee cord can be used for a whole bunch of different things. But what if you had some special bungee cords that were just created for strapping down your kayak for the weekend? Something, right? Maybe it was a specially designed kayak bungee cord with a certain length or a certain handle, whatever. You get the idea, right? But that’s what you need to ask yourself. Okay. Is it a market that your product is currently serving or your products? Fishing market, another great example. So, fishing market I’ve been using that one a lot lately, the guitar market, the Jeep market. I have a Jeep. There’s a ton of Jeep people out there that are just like raving fans for making their Jeeps either custom or if they’re off-roading. [00:06:05] Scott: The guitar market. There’s classical guitarist. There’s metal guitarist. Yeah. That’s me. And then they have beginner guitar stuff. So, who are you serving? Are you a guitar care product? Meaning that you are selling oils and conditioners and different pieces so you can work on the guitar, different items for just that specific part of that market. So, what you need to do though is get very, very clear on who you’re serving. Who is the market that you’re serving? You’ve been hearing me say that a lot. I’m going to keep saying it but that is the number one thing that you need to identify. Everything else becomes clear, okay, and then we can move on to step two in this validation process and that is, are there three to five products currently selling to that market? All right. If you’re looking at something and it’s one product and you’re like, “Okay. There’s this one product. What else do they buy after they buy that one product?” and nothing comes to mind, probably not a market. It’s probably attached to something else or maybe it’s just a novelty piece, whatever, right? You need to think to yourself, “How am I going to be able to sell more of what I offer in my business to the same person?” And I don’t know if you’ve ever heard this before but you’re going to hear it here, again, if you’ve already heard it from me because I’ve said this before, it’s so much easier to sell a second and a third and a fourth and a fifth thing to the same person that just bought something related to that one thing. It’s so much easier or maybe more than one or maybe you’re going to sell something that eventually it wears out or maybe you just go through them and you have to replenish these things. Maybe if you’re selling like I said, I go back to guitar. Guitar strings, eventually you got to get a new set so that’s something that you can replenish and also you can sell them a guitar stand or maybe a guitar case or maybe a tuner or maybe you’re going to have different stands that hold acoustic guitars or maybe multiple guitars. [00:08:02] Scott: So, all of those things come into the mix when you’re looking through this as far as how many different products would that one customer buy that’s related. Like, if they’re walking up to the checkout counter and they are in the store that’s specifically designed for that person, they walk up there, they look along the cabinet there, the front maybe it’s the end cap, whatever, and you’re going to see stuff that’s related to that, that person would be like, “You know, I need one of them,” and then they would throw it in their bag. It’s the same idea. And sometimes it’s a product that has to be bought with the other thing so that way there you can use the thing like sometimes that’s how it works. But one way to get some ideas if you’re not already at this part or maybe you are at this part, but you haven’t really done a good job selecting those products, well, go to Amazon. Of course, that’s the number one e-commerce platform right now that is selling product, physical product. So, go to Amazon and just search for your product and see what comes up as frequently bought together or customers who bought this also bought this or also interested in this. All of those things are going to give you ideas. Another platform is eBay. We all know eBay is another sales channel that you can sell on to by the way which you should but it’s another place to get ideas and then you can run through those ideas and see what other people are buying related to that or in that market. Etsy, another great platform depending on what you’re selling. Google Shopping, another great way to get other ideas. It’s just do a Google search for your things. Stainless steel garlic press, see what comes up. So, that’s what you need to do though. Are there three to five products selling? And if not, might you to reconsider your market or you might need to pivot a little bit and sub-niche down a little bit. Just because you’re in this market now doesn’t mean you can’t pivot. Like I said, sports and outdoors, that’s fishing, and hunting, and hiking, and camping, and all of that stuff so those are submarkets inside the big market. Now, we got to do is drill down. So, if it’s fishing you might go to kayak bass fishing. We can drill down in there or maybe it’s just bass fishing or you know maybe it is fly fishing. You see where I’m going with this. So, that’s number two, are there three to five products selling minimum? All right. Like I said, once you figure out the market and you’re very clear on that, finding the three to five products is not going to be as hard as you would think. It’s actually easier. Now, you don’t have to be like, “Oh well, wait a minute here. I got to go to Jungle Scout. I got to look to make sure that the numbers all match.” You still got to do that stuff but you’re not just looking for them to serve you a product on a golden platter like most people out there and, well, I don’t want to generalize. I don’t want to say everyone but what I’ve seen is a lot of people out there are just trying to have someone hand them a product and say, “Here, sell that. It’s going to sell great,” like that’s it. No other thought behind other than the numbers look great. I checked all the numbers. You’re going to do fine. That’s not what we want to do. Number three, moving on, are people searching content online about your market? Okay. How-tos, type in “how to” on Google, how to tune a guitar, how to play guitar, how to play a cord, how to play a scale and then you’re going to let that search engine, Google, YouTube, Yahoo, Bing, whatever one you want to use and let it auto-fill just like you would on Amazon when you’re looking for products. It’s the same idea. Let them do the work for you because they’re going to give you the most relevant to that first thing that you’re searching for. So, how to play guitar, let it fill it in and then it’ll tell you what people are searching for. So, again, same idea. How to catch more bass and then it’ll say in a pond, in a lake, whatever, so you have to let that pull that stuff in but what that’s also doing is it’s letting you know that there’s content out there being produced and being consumed. [00:12:03] Scott: Now, one of the big things I hear people say was, “Yeah. But, Scott, everybody’s already created the content. Why am I going to create content?” Because no one is going to create your content. You’re you, right? You’re unique in your own way and how you want to put a spin on it or maybe you’ve had a different experience or maybe you can bring another experience to it. There’s always room for more content, okay, and good useful content in the marketplace. So, how-tos, improving your skill, researching. If you’re researching how to do something even if you want to research a new fishing rod like you’re going to be researching that stuff and you can research that stuff on Google, on YouTube. You can even search on Facebook and some groups if you want to but the main ones that I like to look on is Google and YouTube. So, again, the reason why we’re doing this is because when we want to grow this business, when we want to start getting external eyeballs on our brand and then leave them to our products, we’re going to be able to do that through content and when we do that through content over time, we’ll start to get that traffic. All right. Now, there’s something I haven’t shared recently because we just did it about a week ago. We added a little and I’m going to do another podcast on this, but we had this little widget. Now, I’ll tell you guys the widget in another episode but we added this one little widget on our newest brand that we’ve been working with here for the past 18 to 20 months. I forget what it is now and we’ve been developing content, we’ve been doing this repeatedly and we’re getting really a good amount of traffic right now and we just put up this widget just the other day, very basic offer. We call it a lead magnet in a sense, and everyone that comes there they see this little widget that asks them if they want this thing and in exchange for their email address, they can get it and we’ve collected over I think it was 595 emails, almost 600 emails in a week for free just for putting this one little widget out there. [00:14:00] Scott: Now, what’s that going to do for us? Well, it’s going to build our email list so then we can have better launches. That’s where we can drive more traffic to our blog content, hopefully, get it shared. We can also get feedback from people. We can also push our content to have them share it in other groups or all that stuff, right? So, again, I’m just throwing that out there like having the eyeballs and the attention, that turns into eventually money or at least people knowing more about your brand and helping you share the content and getting it out there. So, just throwing it out there because we’ve been doing this with the content thing. That’s where the power that comes in and you get ad money now. We have ad revenue coming in upwards of $1,800 to $2,000 right now. We’re looking to make that $4,000 here. That’s one of our goals here in 2019 and maybe even $5,000 if we can get our traffic numbers up and that’s totally outside of just Amazon so that’s ad money. That’s ad rev coming in, affiliate commissions, like all of that stuff is because we’ve developed this content over the past 12 months, you know, actually about 18 months. We got really serious about it in the last 12 months and I wish we would’ve done it sooner, to be honest with you. So, that’s why I’m kind of laying this out here as this filter process, okay, because if you can go through these things, then you can just get to go ahead and just plug-and-play. So, are people searching for content, look for how-tos, improving the skill, researching, anything that you can find in there, go to other people’s channel, see what they’re creating, see what people are resonating with, and then you’ll get all the information in there and just go ahead and create your own and then just start one piece at a time. Number four, are there social media groups hanging out? This is a big one too because we want to know that there’s actually a crowd of people out there that are fans for this stuff like I’ve used the example for the Jeep market. There’s a bunch of Jeep groups, Facebook group pages, 25,000 all the way up to 50,000, 60,000. The kayak bass fishing I’ve seen there was I think we had like 25,000 or 30,000 in that one and then there was a bass fishing one that was upwards of 200,000. [00:16:05] Scott: So, by seeing these numbers, it allows me to know that there’s people there and then I could potentially go either I could target those people through ads or I could create my own groups or my own pages where then I can start to have this community built around the brand as well or in the brand. So, Facebook groups, pages, Instagram, Pinterest, that’s another great platform. We’ve been having really good luck with that driving a lot of traffic. So, any type of social media platforms for your market is, you want to look for them and that’s just another filter to run this through to say, “Oh, yeah, there’s Facebook groups. Oh yeah, there’s Instagram pages. Oh yeah.” It doesn’t have to be all, just one of those. Are they hanging out? Because not all markets are going to hang out on Pinterest. Not all markets are going to hang out on just Facebook or Instagram. So, that’s what you got to pay attention to and actually in the new brand, we don’t really use Instagram all that much. We push ads through our Facebook ads platform that goes over to Instagram, but we don’t really use Instagram as a channel as of right now. So, just to throw it out there. All right. So, number five, the fifth one, is can we build an email list? So, the question you want to ask yourself is, could I do a contest and would people raise their hand by putting in their email address to win this contest or this giveaway. So, would it be the ultimate bass fishing gear giveaway at $200 value? Would you be able to get people to raise her hand and give you their email address? If the answer is yes, then good, boom, you passed through that filter. We can create lead magnets, downloads, checklist, shopping list. Like, if you’re showing someone how to build something, you could create a shopping list. “Hey, go to Lowe’s or Home Depot and you’re going to need this list. Hey, if you want, download it right here and I’ll give you the instructions on how to put it all together too.” Something like that and then you’re going to be getting these email addresses so this way here you can communicate further down the line. [00:18:05] Scott: And one thing that I’ve talked about before, which I’ll just bring it up here again, if you’re not finding or trying to find people that are not just actively buying for the moment like people are generally going to Amazon to buy something, not to research something really. They might be researching what product they’re going to buy, but they’re there to buy. So, that’s like 5%, maybe 10% of the market, but I’m going to say 5%. The other 95%, they’re not ready yet, but they might be ready in six months. So, during that six months don’t you want to be in front of those people? Don’t you want to get their attention at different times of the year? So, when we have our email list, we can also bump them and remind them in a good way and say, “Hey, did you check out this new bass fishing trip? You should go check it out. And oh, by the way, just let you know, there’s only 92 days until bass fishing season officially starts,” or something. I don’t even know if that’s a thing. But you get what I’m saying, right? That’s what we want to do. So, you’re staying in front of mind throughout the entire year and you might just remind them to buy when they weren’t really going to buy but you reminded them so now, they’re going to so we can take that approach and be able to blanket the entire market throughout the entire year. We don’t have to worry about just when they’re ready to buy on Amazon, and that’s the advantage of having an email list. There’s so much more we can do with the email list too but we’re not going to get into that today, but that is something that we run through this validation process. So, again, can we build an email list? And you might even want to see other people in your market. Are they building an email list? If they are, good. Let’s see what they’re doing. Maybe even use your email address and see what they’re offering, what type of follow-up sequence do they have in place and all of those things. This is exactly what we are going through, obviously, we’re deep diving in this inside of our E-Comm Business Formula Training and we are deep diving all the way through this process so we’re finding the market, we’re niching down, then we’re finding the products, making sure that they fit. [00:20:03] Scott: Then from there, we’re doing our pre-launch and we’re building out our home base so this way here we have our foundation in place, then we’re launching and we are launching hard and we’re going to be ranking because we’re picking the right products. And then from there, we’re building out this external channel and really that external channel is more of the phase 2 where we’re going to be doing this over the 12 to 18 months where we’re going to start getting traffic outside of Amazon. We’re going to be turning that into dollars, not just on Amazon, and we’ll have our own shopping cart in our store and we’ll be able to have affiliate sales and like all of these things are to me what is a real true business online e-commerce/digital if you wanted to even include some of those components, affiliate offers, all kinds of cool things. But that’s what we’re doing inside E-Comm Business Formula and that’s why I said we’ve done private-label classroom for the past three-and-a-half years. This is that times two because we’re doing some of that but we’re doing a lot of the external build and then from there how to really monetize but also how to create the attention in the market so that way there we’re found and we just continually build and we’re not just relying on that one channel. So, if you are interested in hearing about this once we open up the class once again, you’re going to want to head over to the waitlist and that can be found at TheAmazingSeller.com/EBF so go check that out. All right. So, like I said, this to me is the future of building a real business and it will allow you to grow and scale no matter what changes or happens on Amazon or any channels. This here when we create this home base, we’re able to control so much more than if we’re just relying on these channels. Now, we are going to use these channels. Don’t get me wrong. [00:21:57] Scott: And the cool thing is, is when we have all these other assets over here waiting and you guys can’t see me but I got my hands kind of going like over here waiting. Like, we’re able to take all of those assets and point them at our products, whether it’s on Amazon, whether that’s on eBay, whether that’s on Etsy, and we can send that channel a flood of traffic that will convert hopefully to sales and if it does, guess what, we start to rank for our products on those platforms. That’s the cool thing about this it’s what I kind of call my launch on steroids. I get to go and take all that energy and just, bam, just kind of hit it, and it’s something that I control. We get to control that, not someone else’s review group or someone else’s deal site or any that stuff. We don’t have to rely on that stuff. So, again, the show notes can be found at TheAmazingSeller.com/624. You might want to grab those and then also the waitlist for E-Comm Business Formula. You can sign up over at TheAmazingSeller.com/EBF. [00:22:58] Scott: So, before we do officially wrap this up, let me just go ahead and recap those five different filters. All right. Number one, is it a market that you are selling your products to right now? Okay. Number two, are there three to five products selling currently right now that you could sell in your brand? Okay. Number three, are people searching content, how-tos, improving your skills, researching different products or different techniques? Is there consumable content being delivered right now in your market? Number four, are there social media groups or social media channels being used where people are hanging out? Facebook, Instagram, Pinterest, even YouTube you can consider that to be one of those. And then number five, can we build an email list? Which I think is a huge asset if the answer is yes. So, definitely look at all five of those, run your market that you’re either considering or that you’re currently selling in right now, run it through these, and then start exploring each of these. If the answer is yes to all of those, go all in on really going after each and every one of those and you will have a pretty solid business. All right, guys. That it. That’s going to officially wrap up this episode. Remember, as always, I’m here for you, I believe in you, and I am rooting for you, but you have to, you have to, come on, say it with me, say it loud, say it proud, take action! Have an awesome amazing day! And I’ll see you right back here on the next episode.